And here we are, the last day of the festival. I have to admit I was feeling kind of high-strung and very homesick at the start of the day. And I actually wasn't feeling super great for most of the trip. I way over-worked myself in the weeks leading up to the festival, and then my asthma was bothering me a lot, too (Somehow I forgot my inhaler in 2014 AND 2016?!) It took me a couple days after I got home before I didn't feel out of breath anymore. I don't know if it was the LA air or what, but my lungs were not happy campers. 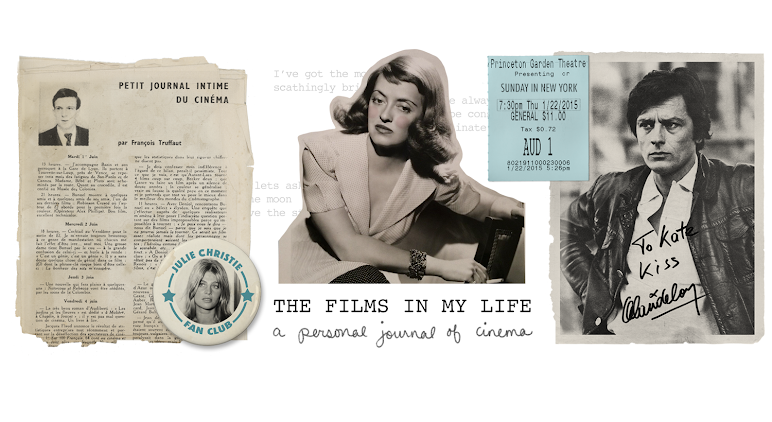 One of my top choices for the festival was Scent of Mystery, in Smell-O-Rama but I just knew I wouldn't be able to keep up with my friends for the walk to the Cinerama so I opted to see All That Heaven Allows instead. This was one of those movies where I never would have chosen to watch it if it weren't the only movie that fit my schedule at TCMFF. When given the choice, a 1950's melodrama is usually one of the last things I'd ever choose to watch. So wasn't I shocked -- flabbergasted! -- astonished! -- astounded!-- to find that I enjoyed All That Heaven Allows, and tremendously at that. I really loved it. You could have knocked me over with a feather! Being that the 1950's is the decade I know the least about movie-wise, I may be wrong in my assessment here-- but from what I understand, Douglas Sirk's melodramas subverted the genre and served as a critique on upper-middle-class suburban life. So rather than just presenting a sappy, shallow, technicolor spectacle, his films were sharp, biting indictments on suburban values. I went into this expecting something like Susan Slade but what I got was much, much deeper and still relevant if you're familiar with the "little boxes" life. Growing up in suburbia in a family of suburban misfits, this movie really struck a chord with me. No, my mom never had an affair with our gardener (we never even had a gardener, as our misshapen hedges and crab grass lawn will attest to) but the catty 50's housewives, archaic societal standards, and "keeping up with the Joneses" atmosphere of the film is all-too familiar to me. 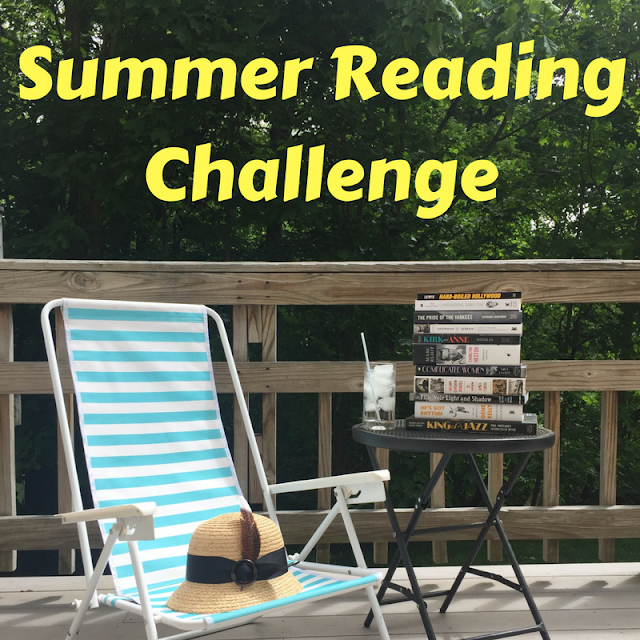 It was a welcome relief to see those staples of residential life depicted in the savage, hurtful, and unwelcoming ways that I've known them to be in reality. 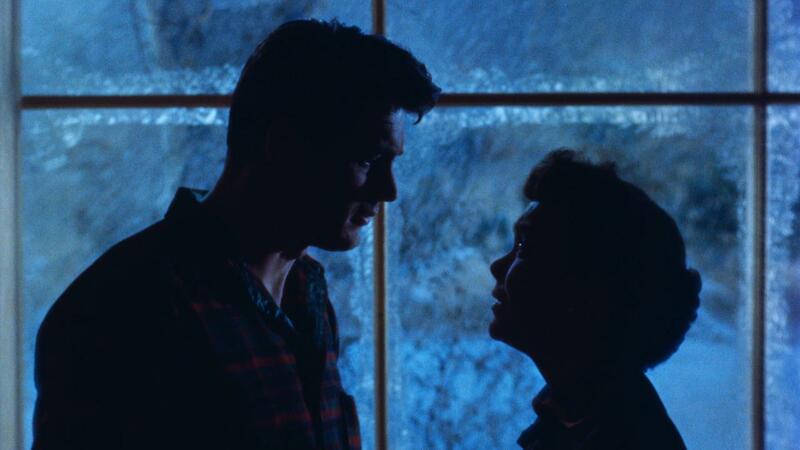 At some point in the day I realized that after seeing All That Heaven Allows I had officially watched at least one film from the 1930's, 1940's, 1950's, 1960's, 1970's, and 1980's during the festival. 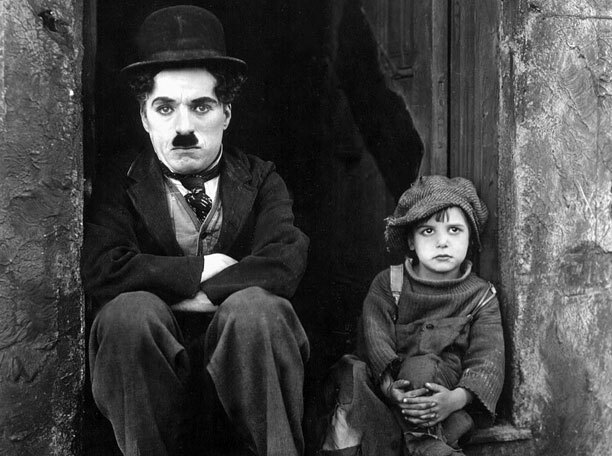 So it was only logical that I watch The Kid, from 1921, to make that list even more complete. It's probably very clear at this point in my recap that I don't actually plan out my schedule all that well. 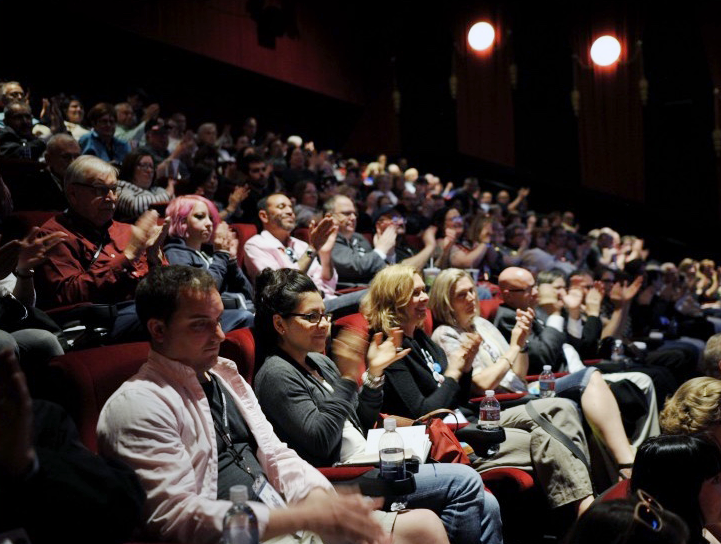 A few weeks before TCMFF I made a list of my six must-see movies, and only ended up seeing three of them. A lot of my choices were made spur-of-the-moment, but I think that spontaneity adds to the enjoyment of the festival! On Saturday night I honestly had no idea that I'd be watching a newly restored copy of Charlie Chaplin's first feature-length film, so it was almost like I surprised myself with it. And what a surprise! The last time I saw The Kid had to have been at least ten years ago, when the Arts Council of Princeton used to show silent comedies every winter. Going into the movie, I could still remember what an emotional rollercoaster this movie takes you on -- for a comedy it really packs a punch! But I was totally unprepared for seeing a 1921 film look so... new. Before the screening, archivist Serge Bromberg* described the restored print, detailing how Edna Purviance's dress that once looked flat black could now be seen in all its velvet glory; how you could now make out each cobblestone in the street. And he wasn't kidding! It looked as if this film had been shot yesterday, it was so crisp and clear. I think this might actually be the first silent movie I've ever seen in this kind of quality, and it was absolutely mind-blowing. *His name isn't listed in the TCMFF program guide entry for The Kid, nor on the TCMFF website, and I forgot to write down his name during the screening. I am 99.9% sure Bromberg is the one who introduced it but if I'm remembering incorrectly please let me know and I'll update the post. 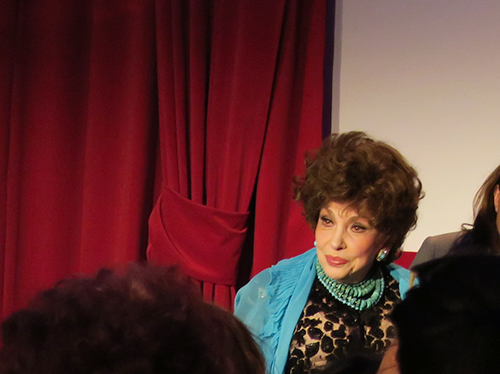 After The Kid I hurried over to Club TCM to see an interview with Gina Lollobrigida. I got to see about 10 minutes of the event before a combination of rude people (they were probably less rude to me than I *felt* they were, since my emotions were on overdrive that day) and homesick hormones sent me back to my hotel for a tiny cry and a nap. I'm so glad that I got to see at least a little bit of the interview, though, since I had missed Buona Sera, Mrs. Campbell the day before (food break!) and seeing her was a MUST for the festival. She was just as lively and spunky as I anticipated, if not more so! I will echo Raquel's suggestion that TCM make the Club TCM stage elevated next time. I was standing in the back of the room (the photo above was taken with my camera zoomed in as far as it could go, at an opportune moment when someone moved their head to the side just enough that I had a fleeting clear view) and someone behind me asked if I could crouch because they couldn't see past me -- and I'm only 5' tall. 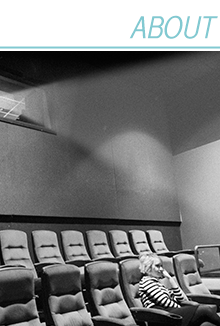 I had such a bad experience with the seating/crowd/view at this event that I don't think I'll attend any future Club TCM events unless a) the stage is raised or b) I'm able to somehow get a front row seat. 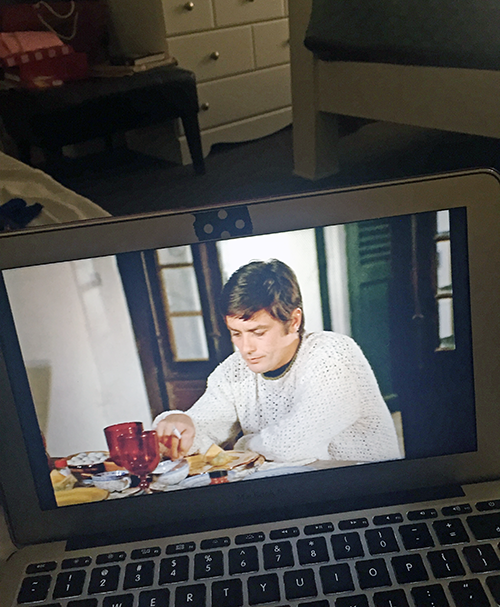 I consoled myself with some 1960's Alain Delon. Watching La Piscine on my laptop actually cheered me up significantly, and I was in much better spirits when I left the hotel to grab some McDonald's (another surefire homesickness cure, since I usually pick up an unsweetened iced tea & small fries every day after my post office run) and head over to the Chinese Theater to get in line for Cinema Paradiso, my last movie of the festival. After Band of Outsiders, this was my most-anticipated film of the festival. I think Cinema Paradiso has to be the best movie for people who love movies. I was a little disappointed to see that the house wasn't very packed, but I think that has to be because it was programmed against Faye Dunaway introducing Network and a TCM fan favorite, The Band Wagon. I really hope that TCM sees the low turnout as a reflection of the later release date (1988) and scheduling conflicts, and not the fact that it is a foreign film. Los tallos amargos and Band of Outsiders were both very well-attended foreign movies and there is definitely an audience there if the films aren't competing against giant stars or popular 50's musicals. I really do wish that anyone who missed Cinema Paradiso at the festival would seek it out at home, though. Even if you're reluctant to watch "newer" films, this is one worth checking out. As of this writing it's available to stream on Netflix (and on Hulu or Amazon if you have their Showtime subscriptions) It's the story of a little boy, Toto, who befriends the local movie projectionist in their small Italian town. I really can't stress enough how magical this movie is if you love films. There are scenes that give me goosebumps every time I see them, even when I think of them, even while I type this. 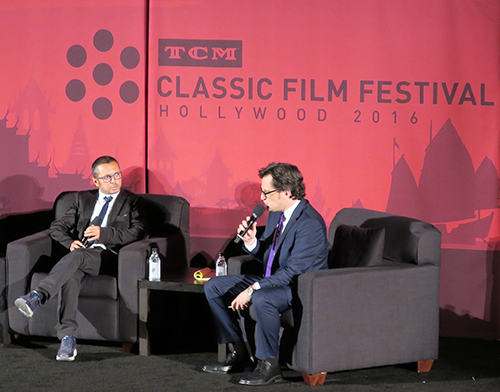 The screening at TCMFF was preceded by a Q&A with Salvatore "Toto" Cascio, the actor who played young Toto in the movie. Most of the interview was conducted through a translator, but before he left he thanked the audience and TCM in adorably well-rehearsed English, and promptly melted the hearts of everyone sitting in that theater. After the movie we headed over to Club TCM for the closing night party. Again, I was shocked at how much I enjoyed myself. I'm very introverted and have a hard time talking to people that I don't know, but everyone was so friendly, kind, and welcoming, that I got along fine. It's entirely thanks to Raquel, who was not only my personal promoter -- singing the praises of my artwork and buttons to everyone who would listen -- but my human-interaction-support-system. I'm sure if it wasn't for Raquel I would have been huddled in a corner wrapped in a kindle-comfort-blanket for the entire night. 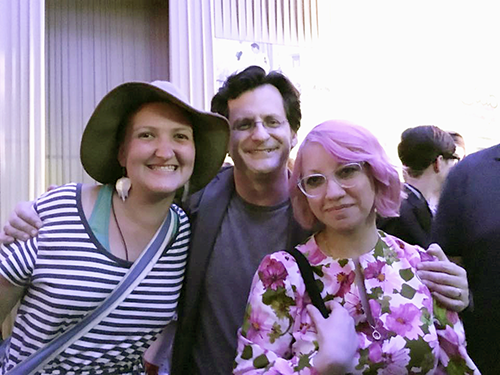 Raquel also told Ben Mankiewicz that I was the one who designed his fan club buttons as we were about to take this photo. He exclaimed, "I love those buttons!" then squeezed my arm tightly and said "God Bless." And finally, there was Toto! 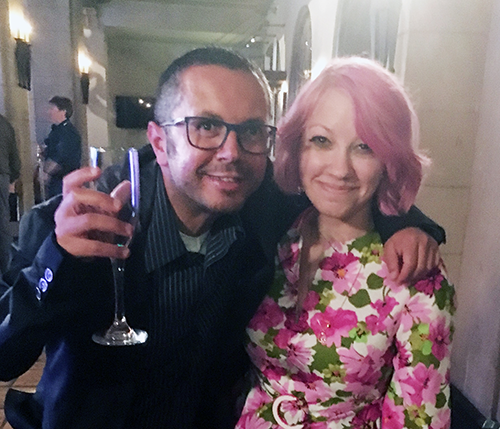 I have a little photo album called "OMG" (I mean a real photo album, with printed pictures) and two photos from TCMFF made it into the album -- my kind-of-selfie with Anna Karina, and this one. I ADORE Toto. I love his performance in Cinema Paradiso, and I think he's just as adorable now. Right here I'm thinking "Thank him in Italian! Wait, what is the Italian word for it? YOU KNOW THIS. What is it? Okay say it in English. WAIT. What is the English word for it????" I was pretty nervous and excited, to say the least. Considering that only a few hours beforehand I was a weepy homesick mess, I think this was a pretty awesome way to end the festival. After the party wrapped up, a bunch of us headed over to In-N-Out for a late night snack. I got to chat with Raquel about foreign films (although not nearly enough, we need to have an honest-to-goodness talk next year!) and try In-N-Out food for the first time (conclusion: milkshake was strangely lukewarm and I still prefer McDonald's) before everyone headed off in their separate directions to begin the long trip back home. Love your reports from the festival. So much fun reading everyone's experiences. You guys should get together and make your own movie documentary and slap it on YouTube. You're stars! Thank you so much! I did take some video this year (although it's for a much more silly project) but I need to keep that in mind for next time! It would be so fun to relive the memories that way, not just in still photos! So I went to Netflix to add Cinema Paradiso to my queue, per your suggestion, and it was already there. Clearly I don't ever look at my Netflix queue. I'm glad to know there was someone else who was ready to go home by Sunday morning. As much as I love the festival, the experience drains me, and I get to where I need routine and quiet! 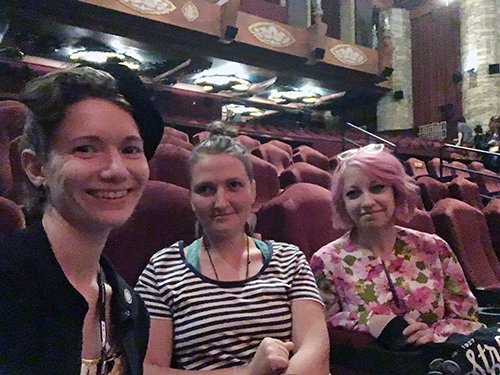 BTW, your eyeliner game is strong in that Chinese Theater pic.